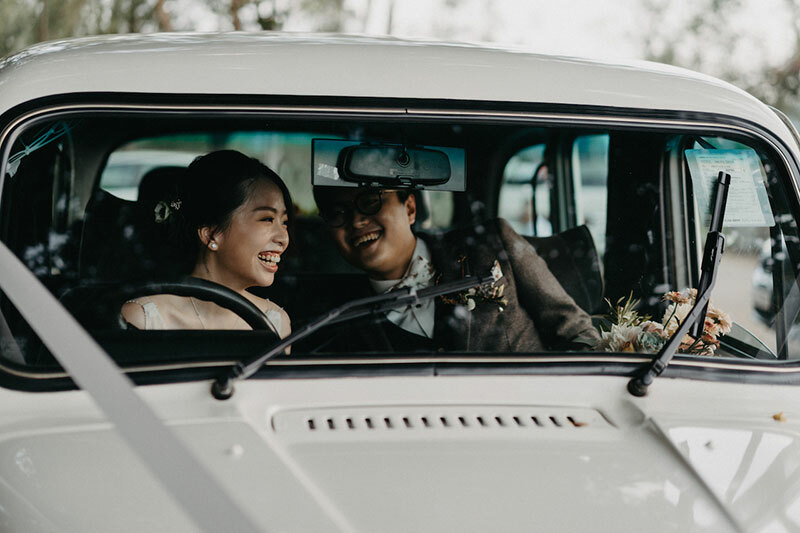 Get whisked away from the day’s woes by viewing this fun celebration. 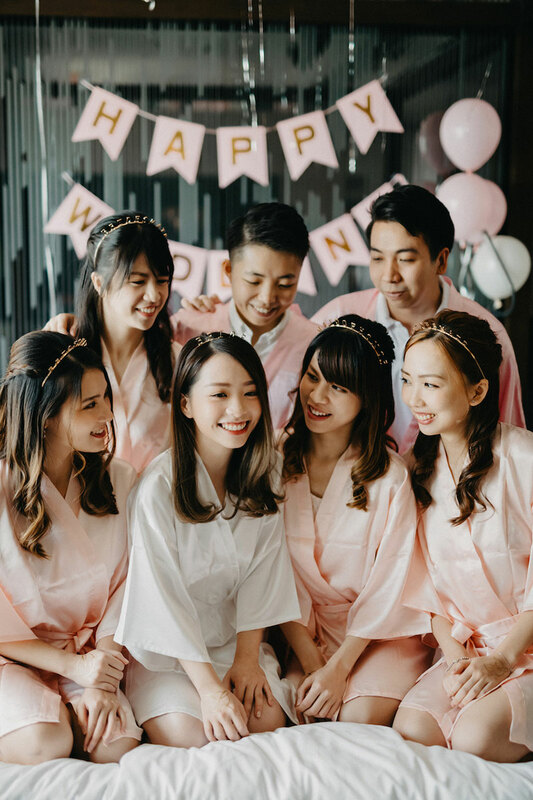 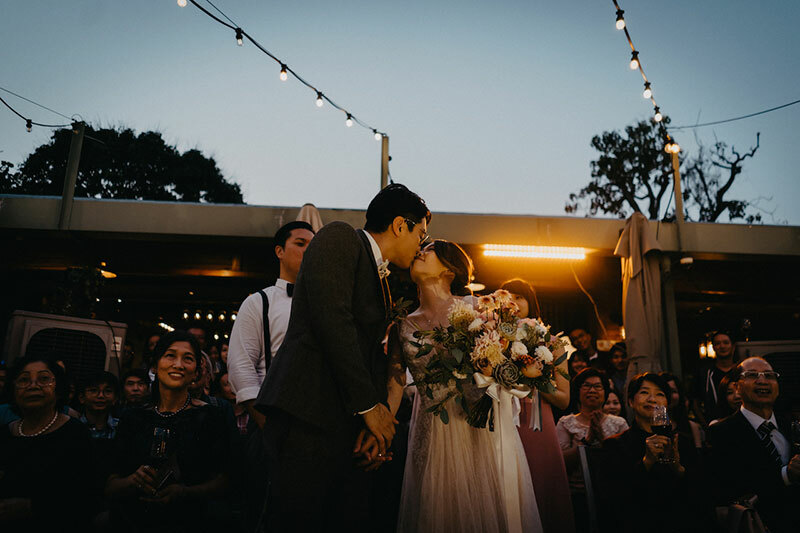 Having been married already beforehand, Flora and Kenz’s decided to have a separate outdoor reception with their closest friends and family. 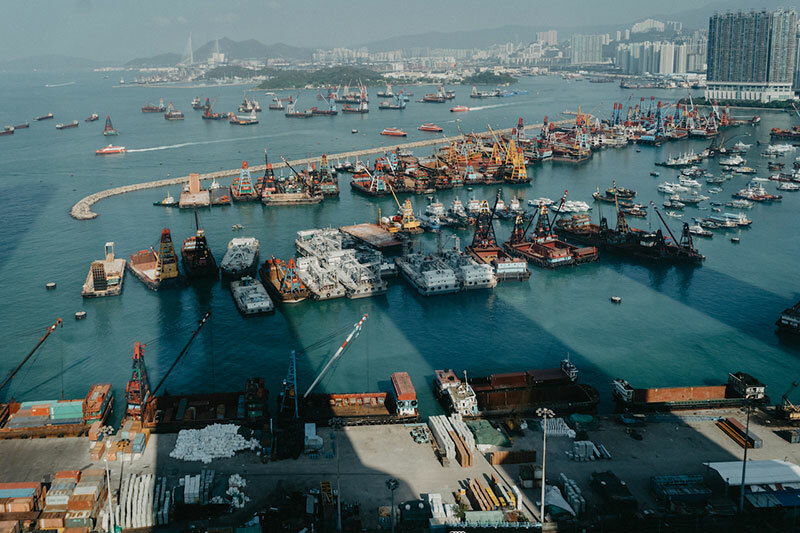 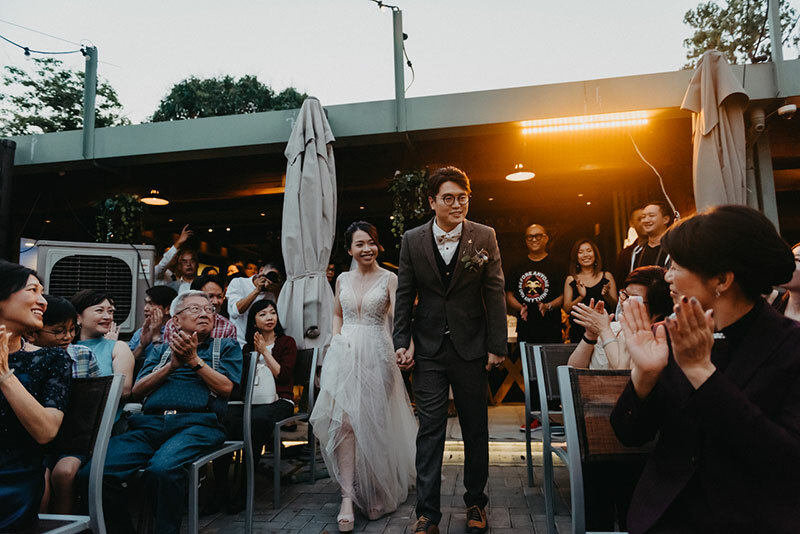 They started the day off with a fun morning at W Hotel, followed by a hearty feast at Tong’s Road House Seafood and Grill. 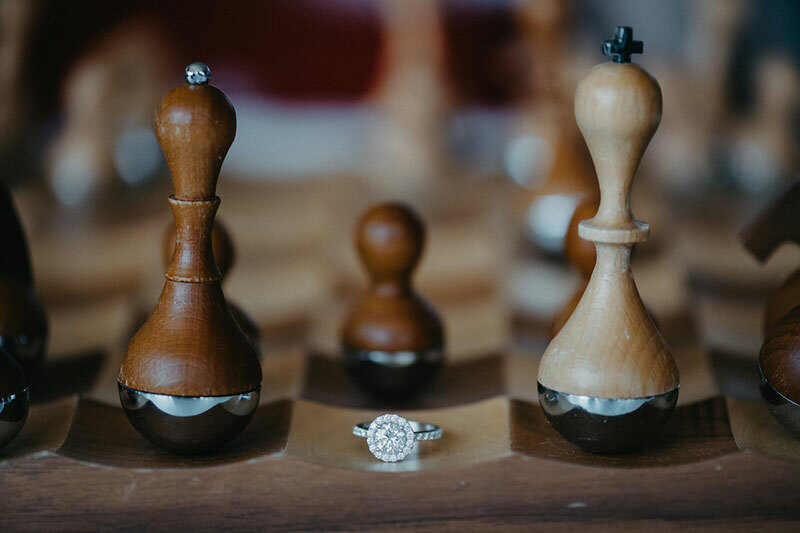 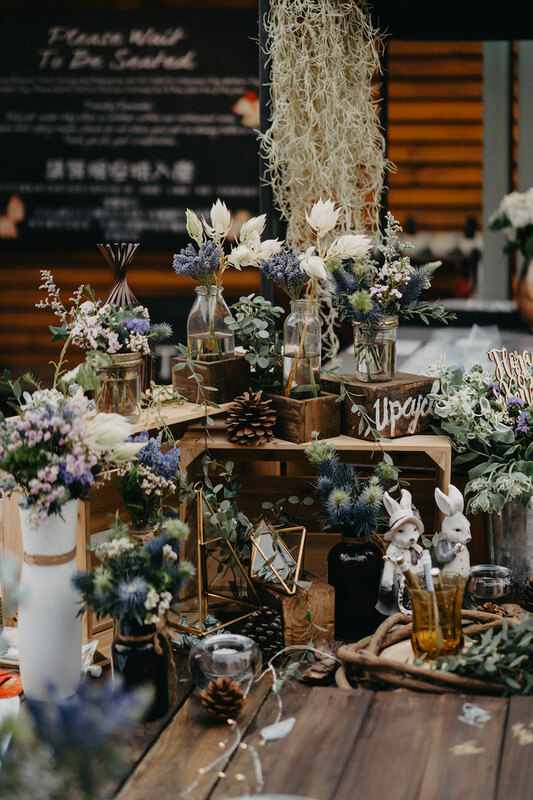 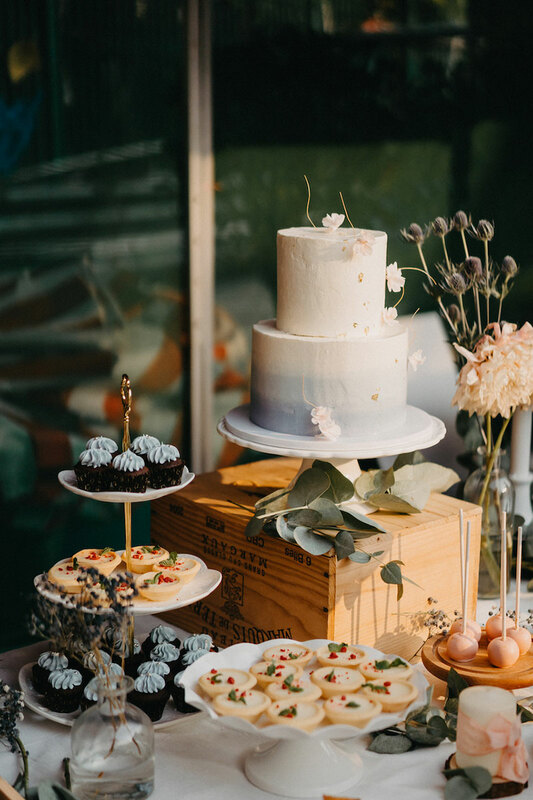 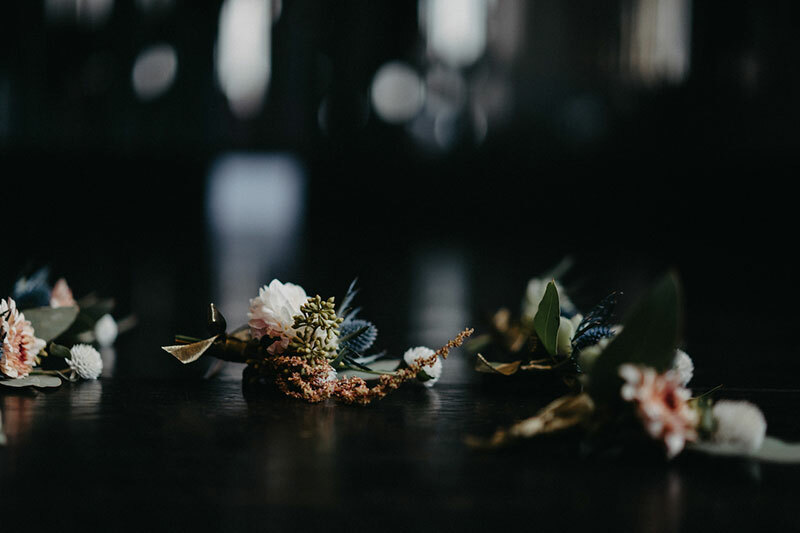 We loved all the rustic details at their evening party–from the flowers and wood details. 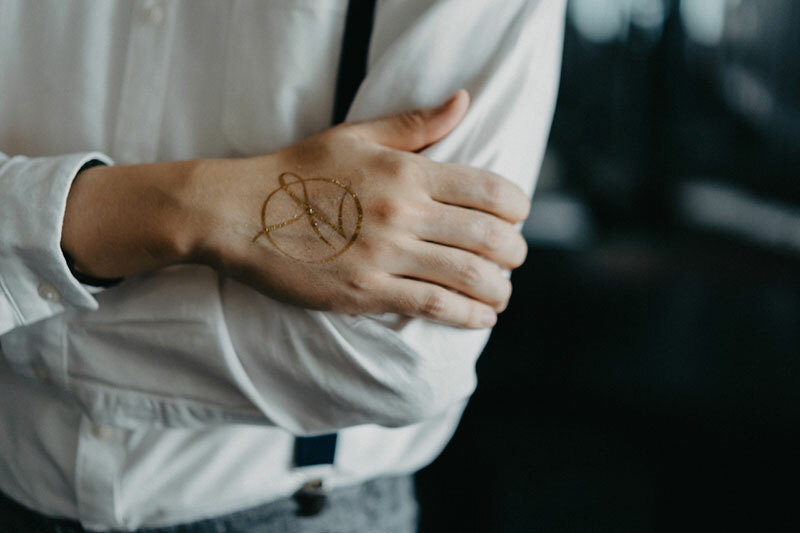 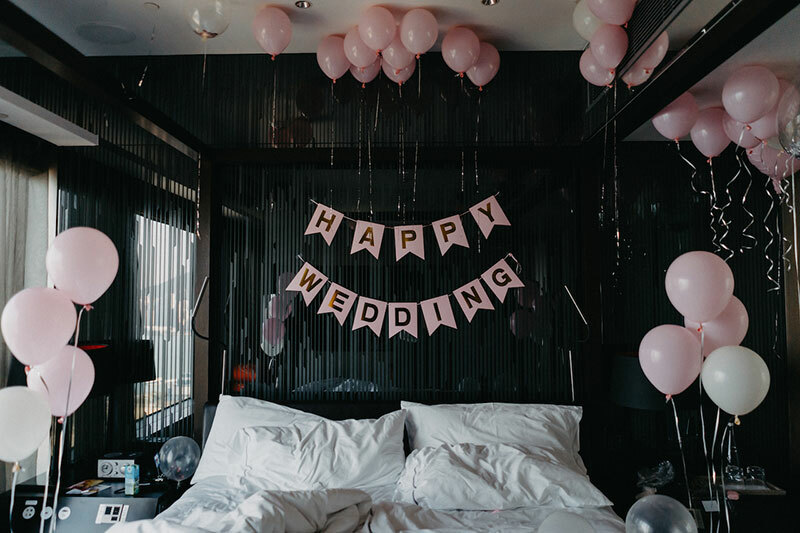 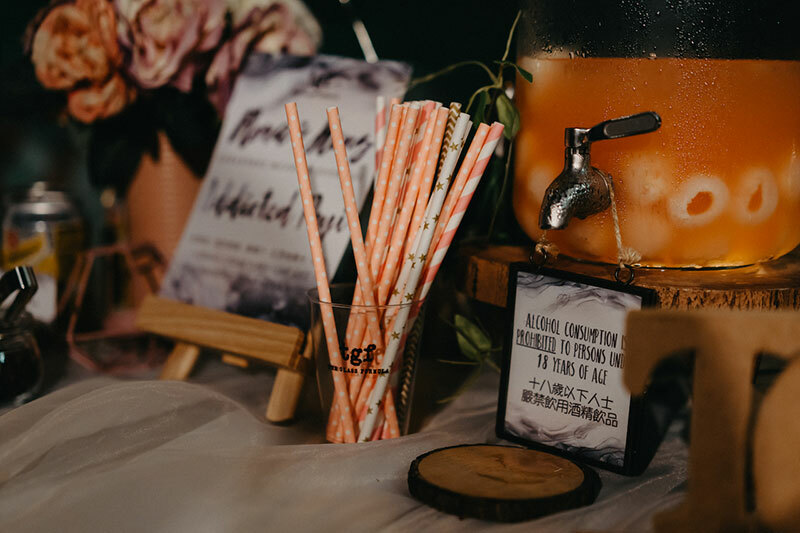 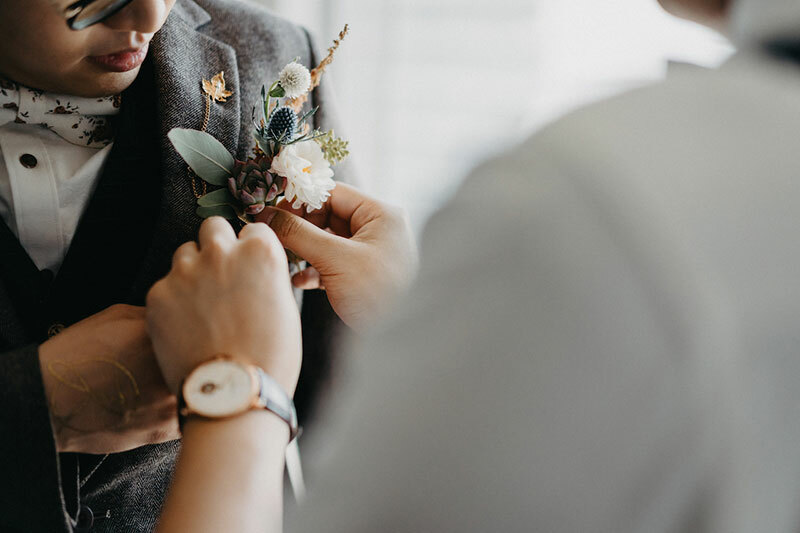 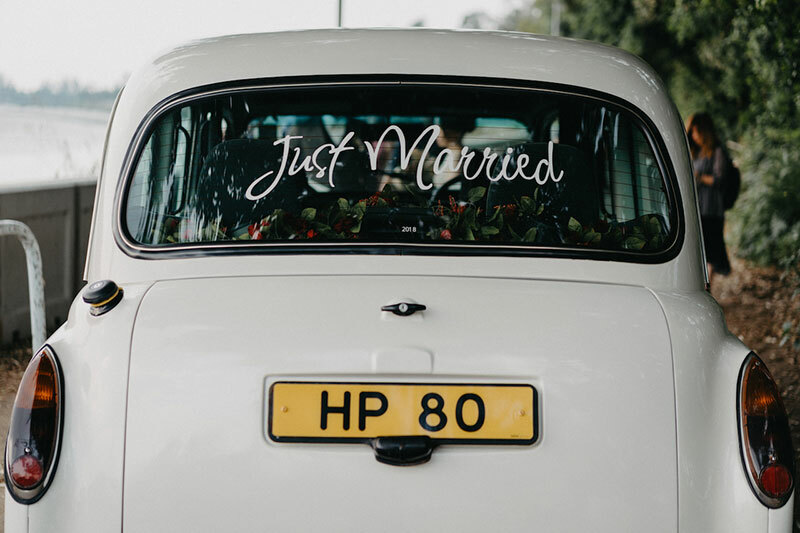 We were also absolutely inspired that their decorations vendor, ForCheer Wedding Decor, was very particular about creating details that also supported environmental awareness. 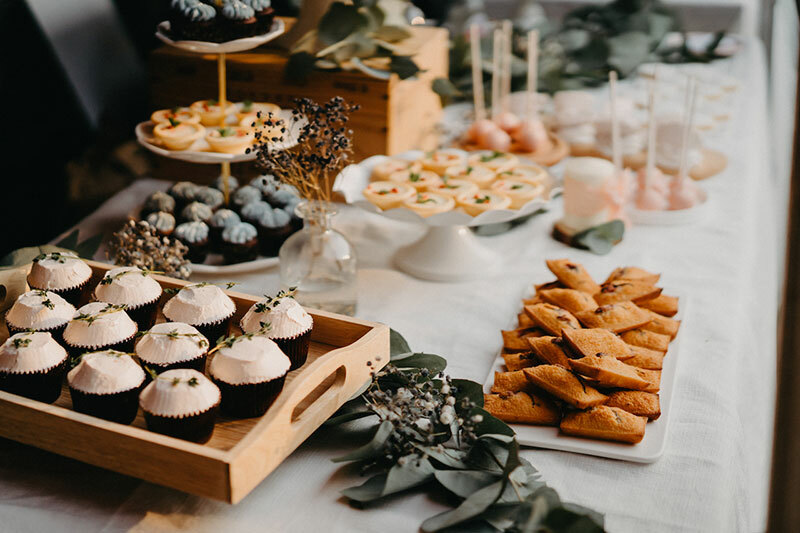 The dessert bar looked extra scrumptious as well–can you spot the cute cupcakes? 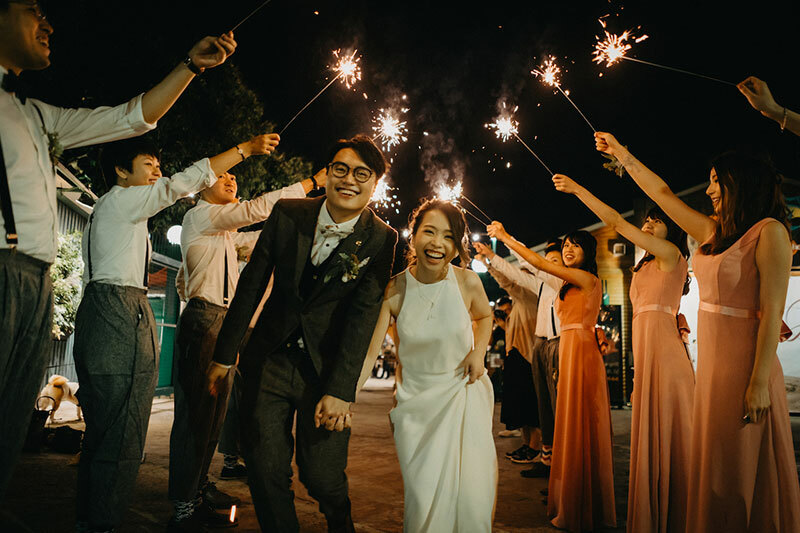 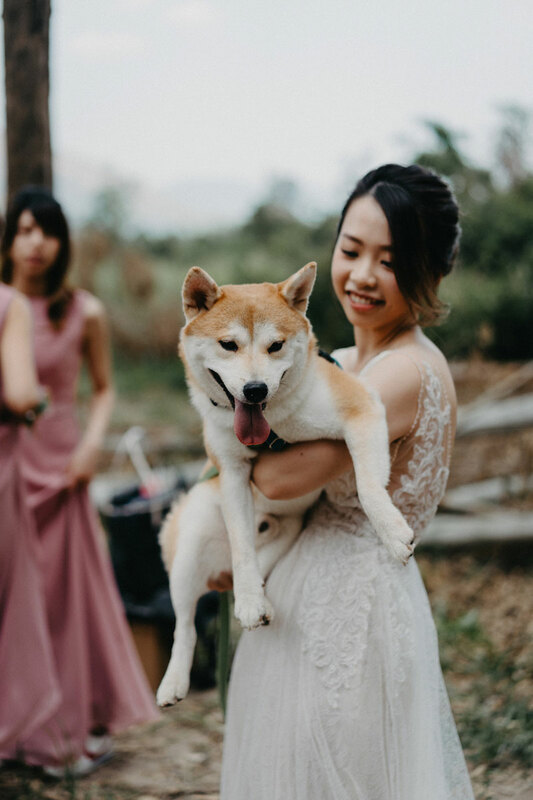 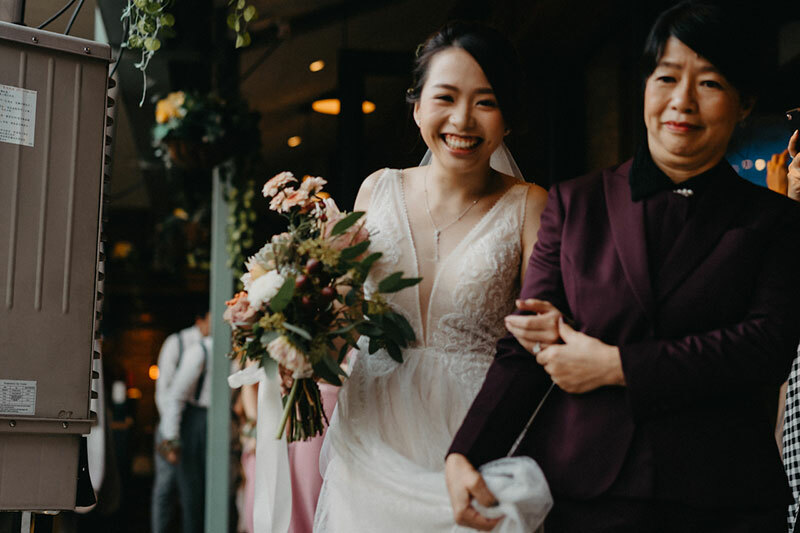 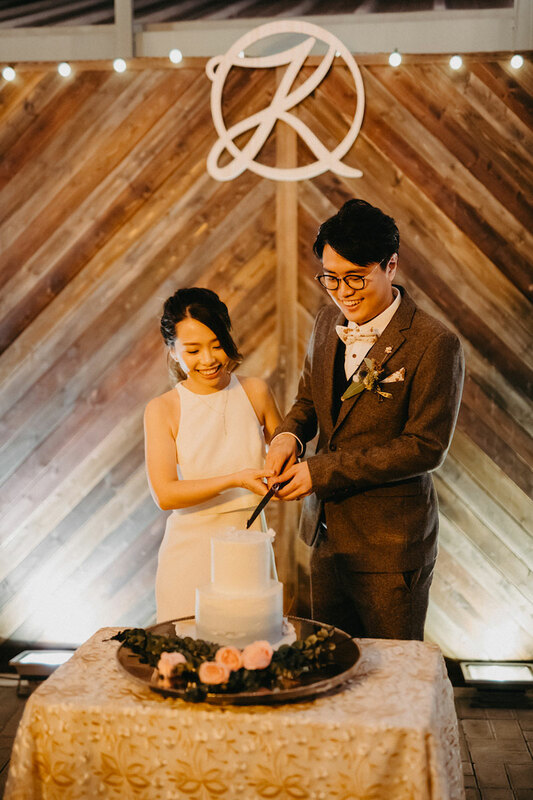 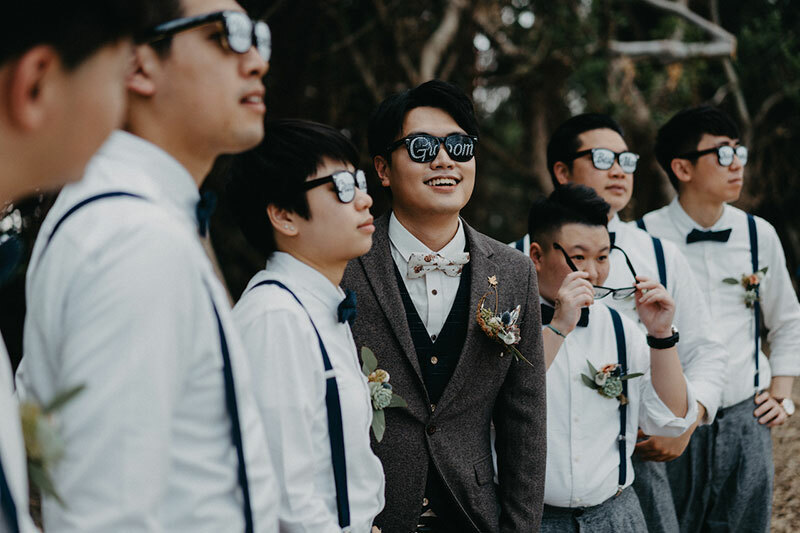 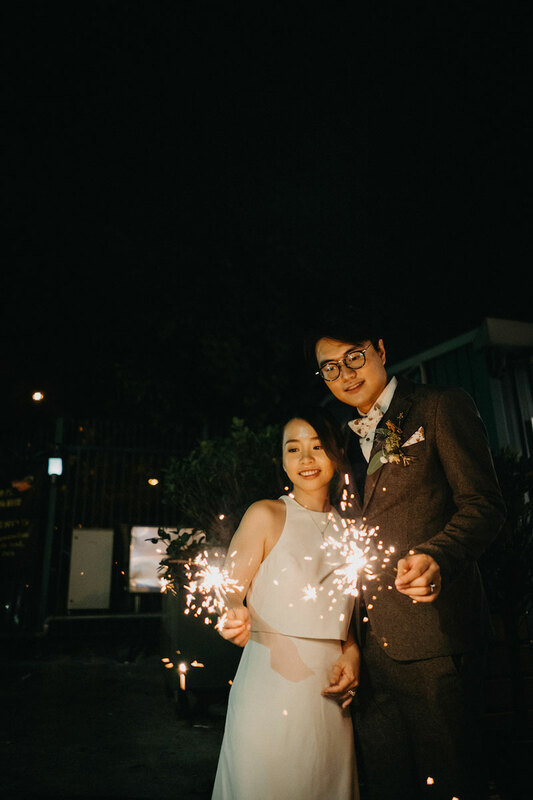 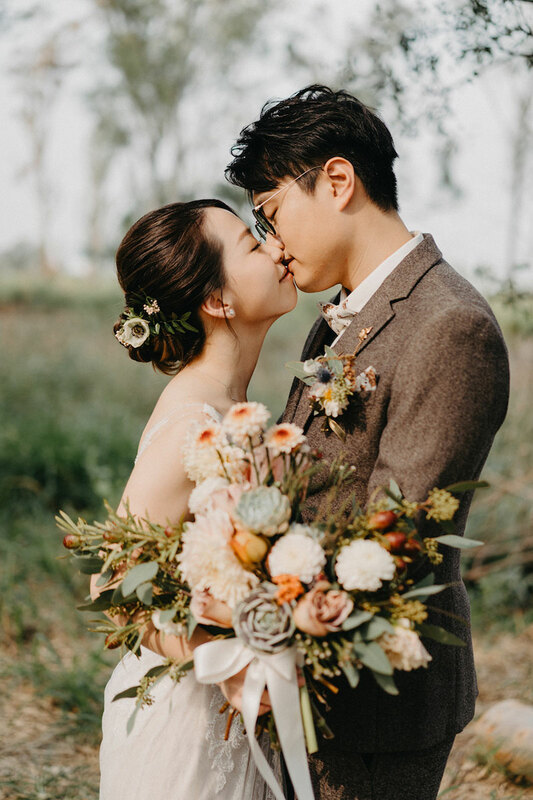 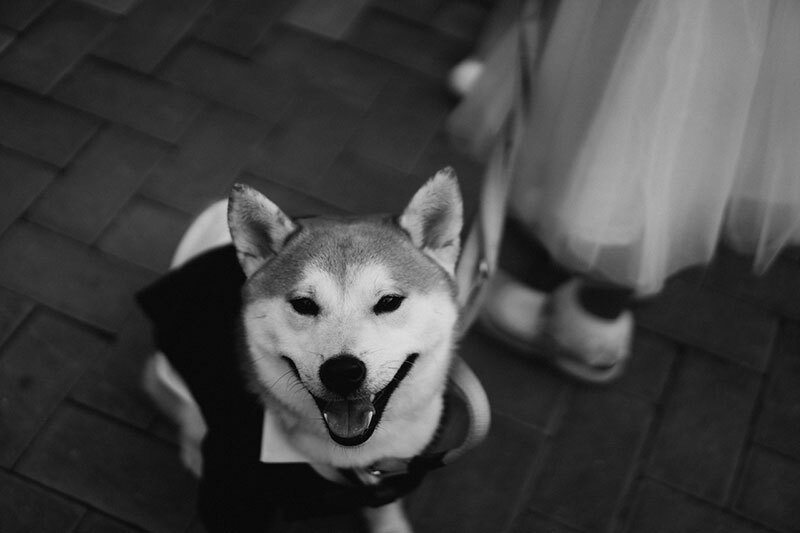 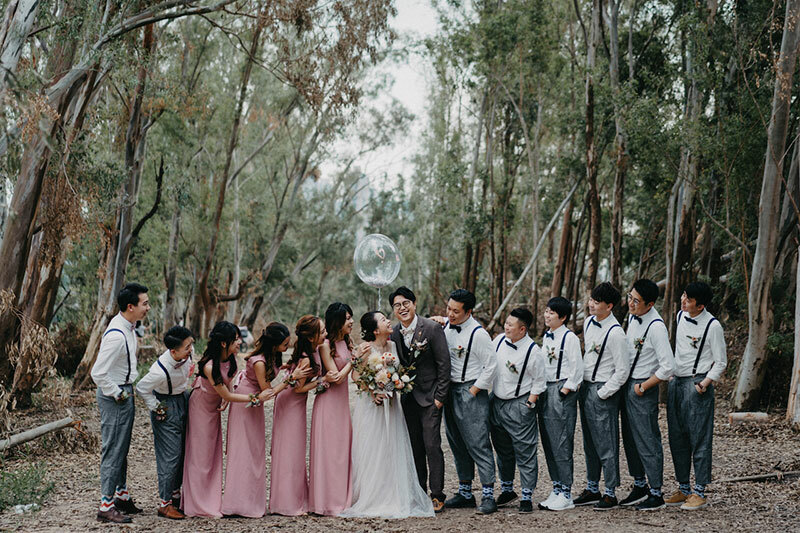 Finally, the special appearance of their dog and cat in their wedding photos by Emma Fok added that extra cuteness to the event! 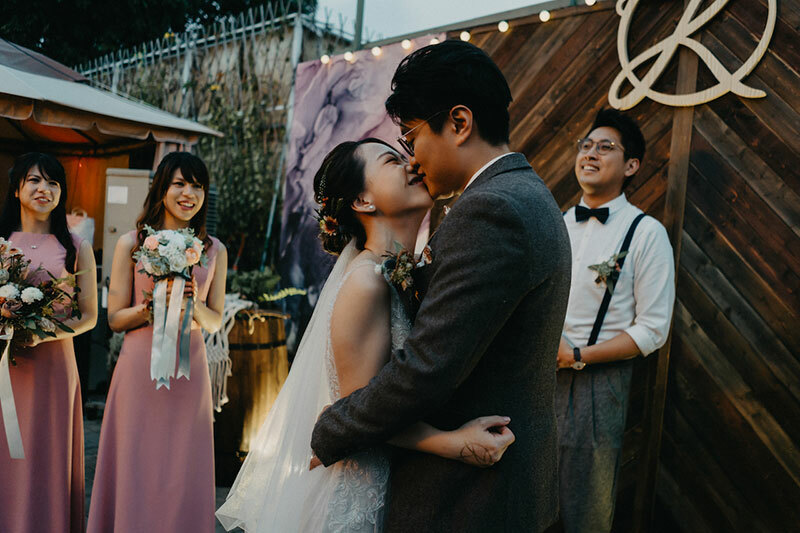 See more of this sweet union now. 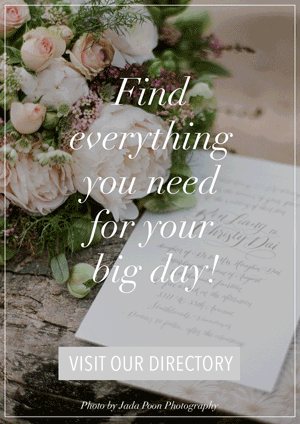 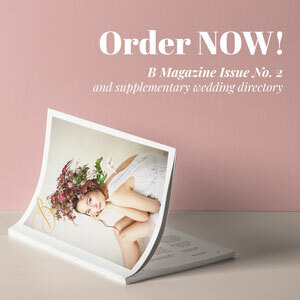 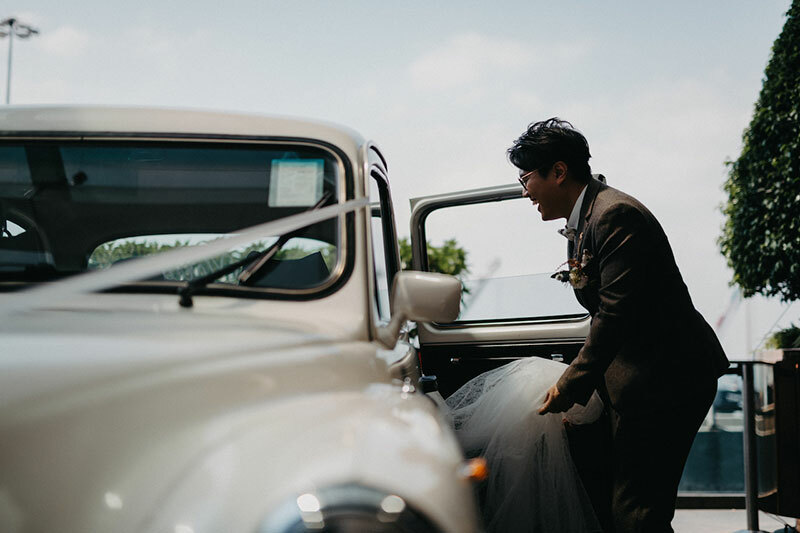 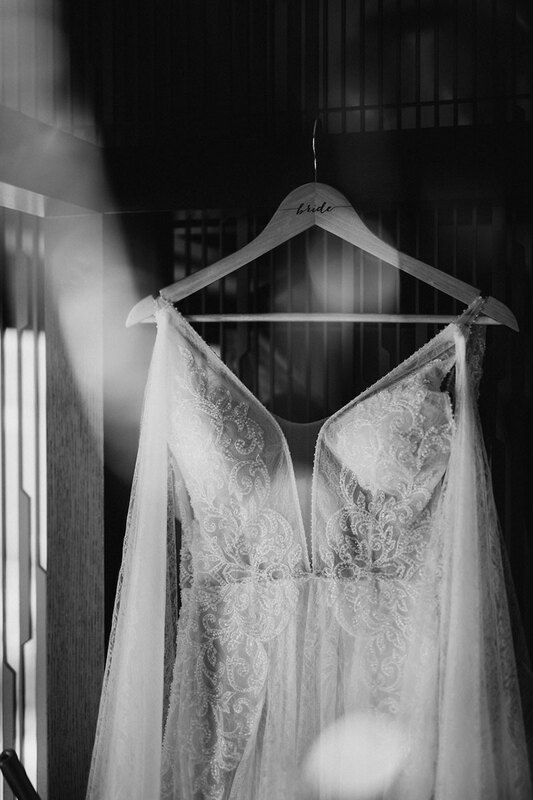 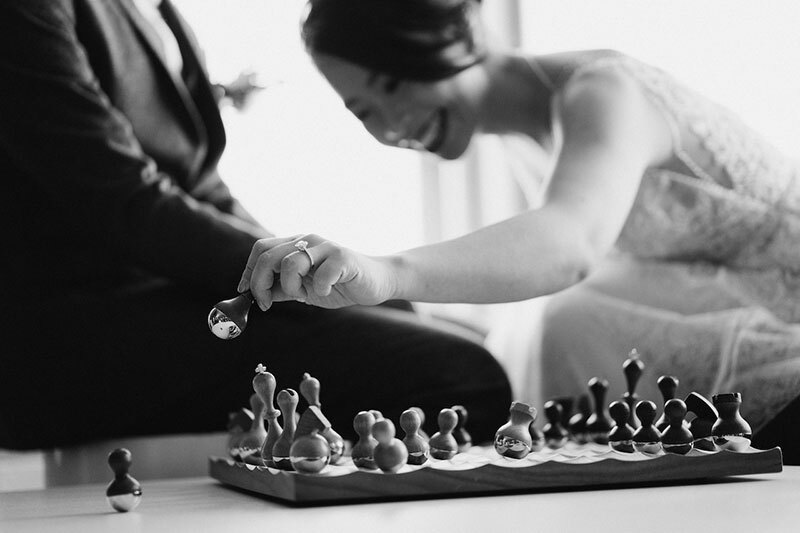 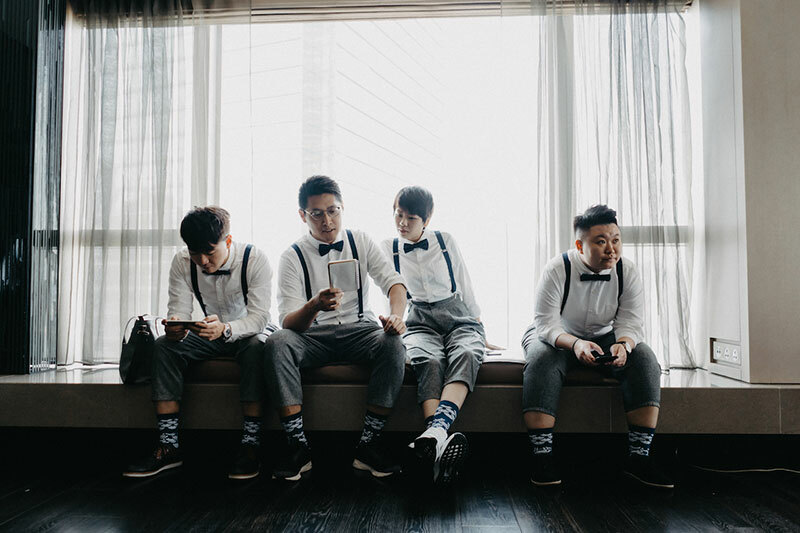 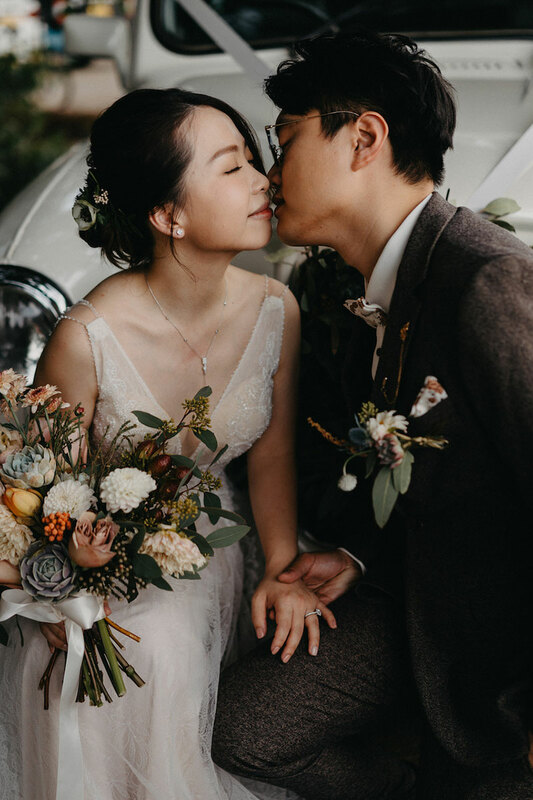 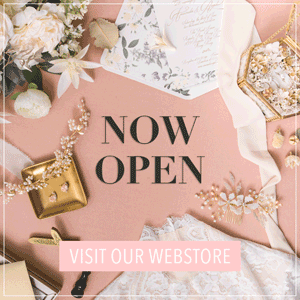 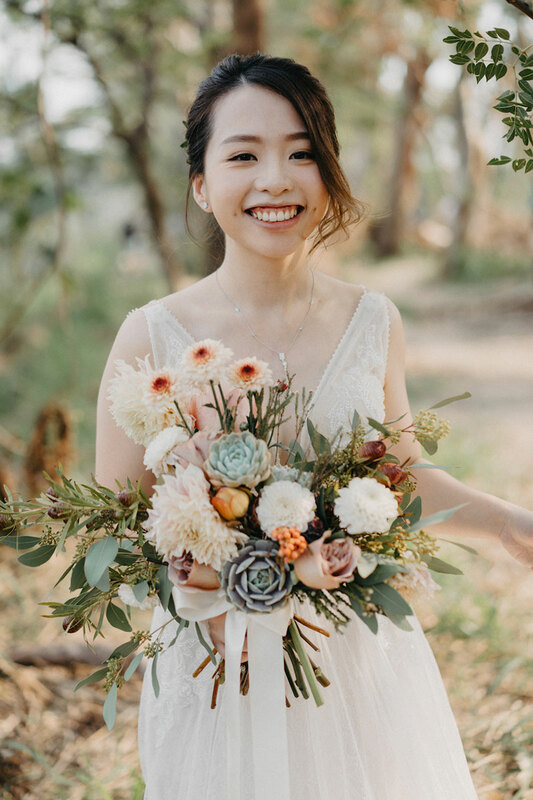 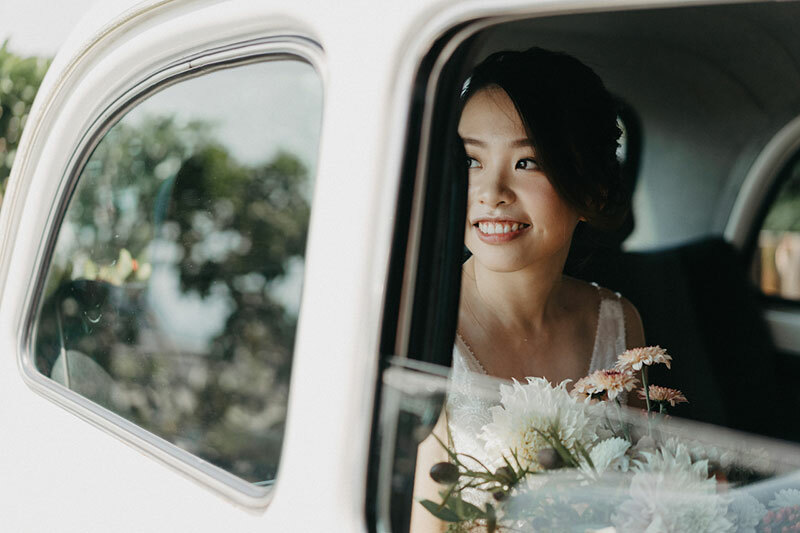 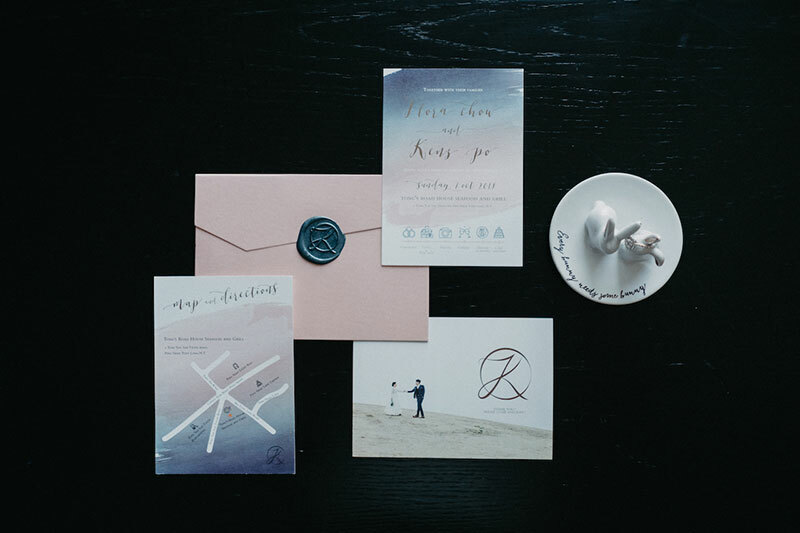 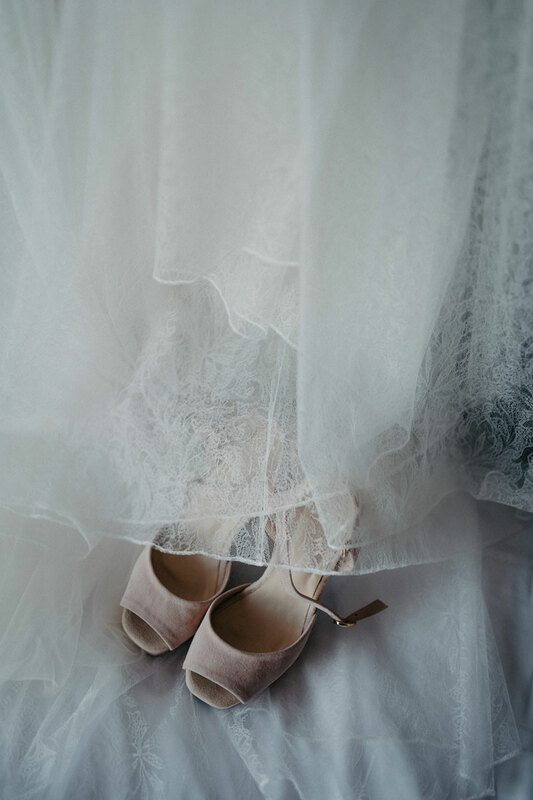 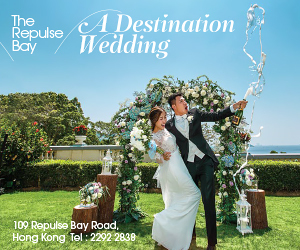 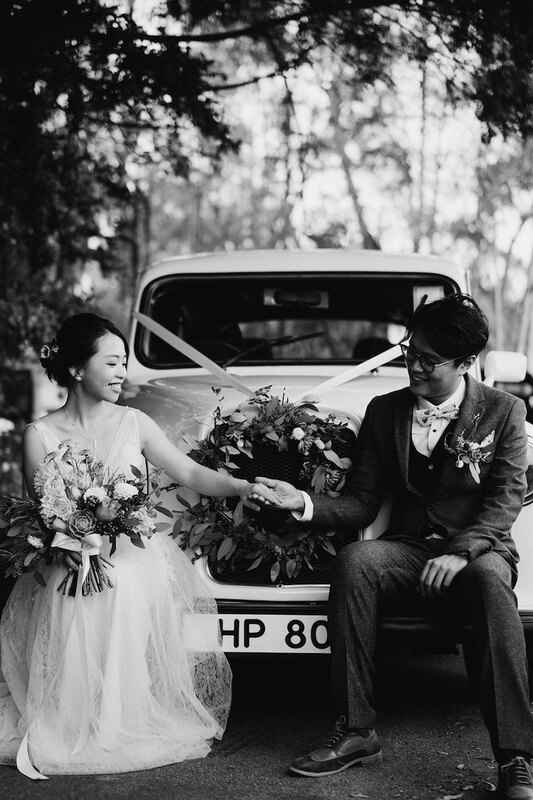 « Let This Elegant Wedding at Discovery Bay Fill Your Day With Romance!